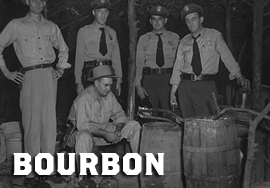 Bourbon is produced all over the US, from New York to Bourbon County, Kentucky to the shores of California and despite the controls on the product, each producer maintains their own twist on this American Classic. Perfection is a patient man�s game. So we waited until Angel�s Envy reached the perfect level of maturity. We judge only a handful of barrels exceptional enough for our lengthy finishing process. The result? Even at 124.5 proof, every sip is worth savoring. A remarkably complex and unfiltered spirit, we suggest you enjoy it neat or with just a splash of water to release the flavor nuances, and perhaps with a few friends who appreciate outstanding whiskey. Angel�s Envy Cask Strength was worth waiting for, now it�s worth sharing. to describe your finest attire, the kind you'd wear to a wedding or special dance. Along those same lines of thinking, we're putting forth our finest. BIB & TUCKER is a delightfully smooth bourbon sporting notes of chestnut, and it's crafted with a sense of dedication that can only come when you know you're making something truly special. fresh cut sweet grass, wet stone and old leatherbound books. Sip it straight, chilled, or on the rocks. Enjoy the fruity aroma from the sherry casks combined with the vanilla oaky cooperage notes to round off the flavorful and mature taste of our most exquisite bourbon. Aroma: PLEASANT FRUIT INFLUENCE,COMBINED WITH VANILLA OAKY NOTES. 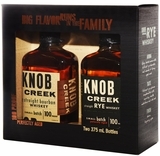 Flavor: SMOOTH, RICH MIX OFPX SHERRY ANDBOURBON FLAVORS. 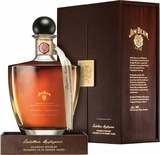 Beverage Tasting Institute- 96 Points (Superlative) Highest Scoring Bourbon - 2015. Ultimate Spirits Challenge- 94 Points (Excellent) Highly Recommended - 2015. NOSE: Robust, intense caramel. Rich vanilla with roasted coffee notes, spiced dark fruit and mature oak. TASTE: Mouth-filling. Sweet and intense. Deep fruit, spice and oak notes layered over dark caramel and vanilla. TASTE PROFILE: The high amount of corn gives this bourbon a classic sweet taste with notes of vanilla and caramel from the wood, and the rye adds some light spice flavor. Bottled at 84 proof for a lighter experience, great on the rocks or in mixed drinks. "The nose presents hints of plums, candy and papaya and the medium body bears a simple palate with a touch of fruit, tobacco and a pleasant minty backdrop." This is the newest in a line of outstanding innovative whiskies created by Eddie Russell. In the past several years, Eddie has released some of the oldest Bourbons to come out of Wild Turkey warehouses, a feat that speaks volumes about his skills as Master Distiller. Eddie, a 37-year industry veteran, has mastered the craft of small-batch Bourbon. We sampled many barrels of bourbon to look for the flavors that would combine to make an excellent blend. From the older Kentucky barrels the flavors of caramel, leather, and wood, with a touch of rose become prevalent. From Indiana barrels the flavors of soft cherry, a nice mid palette feel and a touch of floral are found. From Tennessee bourbon notes of caramel, vanilla, and ripe banana are gained.